Is Your Website Ready for Digital Marketing? To get straight into it, let’s say you’re a real estate agent doing up flyers. Let’s also pretend that on those flyers you have little to no information about the properties it showcases and that it shows whatever photos you could find because you felt that you didn’t have the time or money to get decent photos done. You also haven’t spell checked the flyers and went with black and white because it was cheaper, but you think that won’t matter because you have a great idea of exactly where these flyers should be distributed to reach exactly the right audience. You’re also great at what you do right? You just need to get them on the phone or meet with them and you’ll be able to get things across the line. There’s no way you’re not cringing right now after reading that and with good reason. Who in their right mind would waste time and money having something like that distributed? Who would think that they’d end up getting any phone calls or face to face meetings out of something like that? Well if you’re running digital marketing to a website that isn’t awesome, then it might be you. It feels odd to say in 2019 (happy new year! ), but sadly we still come across people who have been talked into (or have talked themselves into) digital marketing with a website that is nothing but a cumbersome roadblock when it comes to converting the potential customers that those online marketing efforts produce. Even the very best digital marketing professional could only bring you a small amount of business despite their best efforts that would pale in comparison to the amount of business you could see with a well oiled, well designed, informative and pleasant to use website. Today we won’t aim to explain what a good website is, rather we thought that we’d point out a few things that you should look for when trying to figure out if your website is due for a redesign. So let’s get to it! What does a website look like that needs work? This is best broken down into a few key categories. It’s also worth noting that a lot of these factor into SEO (Search Engine Optimisation) and how much you pay for ads on Google and Facebook as well, so definitely worth your consideration. Does your website have an https: or a HTTP: in front of Its address when you visit it? Security is important to you, your customers and Google. To help everyone stay safe websites have to prove they are not a copy placed there by hackers and misfits by having a certificate that certifies to the internet that your website is who it says it is. Not sure about this https: Vs http: thing? Wikipedia has a detailed summary of what https it is all about. Without it people will get warnings on their browser about the website not being safe and may not trust the website. Google is also not keen on unsecured websites and it is a known factor for SEO rankings. Don’t worry, it is quick and easy with the right people around. Speak to your web designer or host about getting https: enabled on your website and start enjoying the peace of mind and digital marketing benefits. Want to supercharge your security? Ask your host or web provider about how to use HSTS, or reach out and ask us about it. Is your website straight out of 1996? Even 2006 is bad. 2016 might be passable, but it would be worth considering a redesign at this point. Visual design trends change a lot over the years and at the first hint of dated visuals a potential customer will run the other way. We also mentioned in the opening example that our hypothetical real estate agent hadn’t used the best pictures possible because they wanted to save time and money. You should be using the best possible quality photos and imagery without exception. Then there’s the overall colours you’re using. Ask for objective help from friends and family to find out if your website is a bit of an eyesore or perhaps just boring. There’s a great guide here on the psychology of colour schemes for websites, which if you can manage to combine to be consistent with your branding will have your website popping in no time. We have one hard and fast rule here and that’s that a customer should be able to get anywhere that they need to be on your website from anywhere else on the site. This means well-structured menu items that are categorised and intuitive to use. If you have pages that can’t be navigated to then why are they even there? Obviously there are some exceptions such as pages that might show up after customers select something along the lines of product model/colour/size etc, but anything with important information on it should be front and centre wherever possible. It’s also important to ensure that your site loads quickly. Anything over 2 seconds for a page and you’re not only in bad territory for SEO, but you’ll quickly lose the user. Google has two tools that can help you on this front with technical elements but don’t be scared by low scores. There can be many factors that affect them and they are best discussed with your marketing partners before panicking. This tool will identify the speed of your website and technical elements that make it tick. Website speed is strongly correlated with the quality of user experience and enquiry or sale rates. It is worth exploring and discussing with your website designer and host. 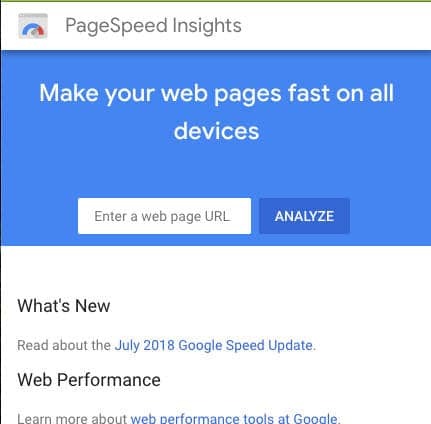 Mobile tests have been available for a long time, but when Google releases one it is a good idea to take note. They hold the keys to rankings on their search engine and are likely to shape the test results in the same way they view your website. 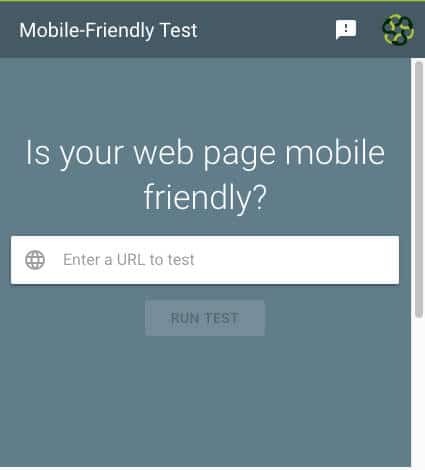 This new tool tests mobile friendliness in Google’s view. Before you start advertising online on Facebook, Google or Instagram test your website and discuss the results with your web designer to uncover relevant insights. We’re not sure why, but we still regularly come across websites that have little to no information on things like product pages or other important areas of the website. Never assume that your customers know exactly what they’re after no matter how niche your products and services are. Think carefully about what each and every page on your website is about and then ask yourself whether or not you think that you’re making it clear with the level of information currently on those pages. Onsite content is also the first port of call when it comes to SEO. Having a good amount of relevant information onsite is one of if not the most important ranking factor when a search engine is deciding where to place you in rankings, so don’t skimp on the site copy! Without a map, it’s easy to get lost in the woods. Knowing if your website and marketing is on track is nigh on impossible without a good view of the landscape. In the digital world, that is defined by data. It is everywhere, but if you aren’t collecting it your online marketing and strategies are likely to be missing vital information. At the very least, you need to install some kind of website analytics like Google Analytics to collect traffic information. Secondly, If you are marketing, you need to define and track goals on the website and send this data to Google or Facebook or wherever else you choose to advertise. Not sure if you have tracking installed? 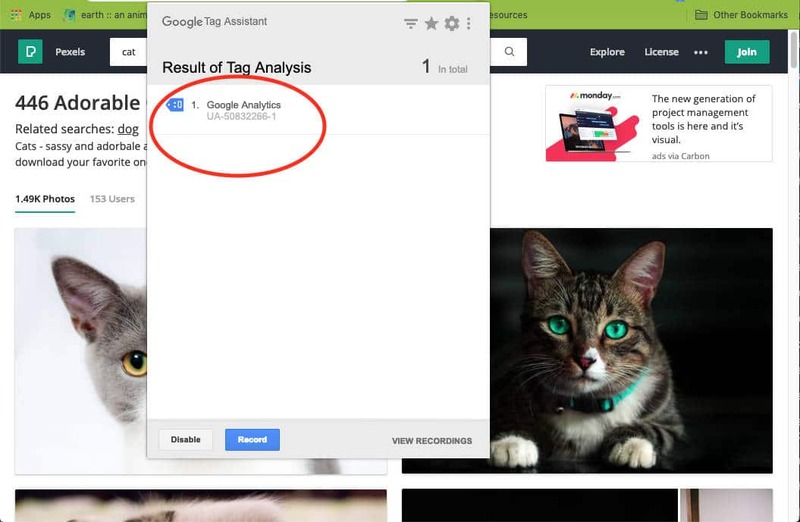 Try opening chrome and download the extension Google Tag Assistant. Once installed, you can click on the icon on your browser window bar and click the “enable” button. If you don’t see anything appear for your website or in this case your favourite cat photo repository you probably need to install tracking. Website tracking like many disciplines is a specialised field in digital marketing. Talk to your digital marketing manager or website designer about finding the right fit for your needs. Get your website right first. We’re aware that this blog could seem alarming, but fair warning is needed before you potentially waste your money on digital marketing if the portal that marketing sends them to is not optimal. If you want to engage in online marketing but feel that you fit any of the above, take that money and fix your website first. You might want sales asap, but jumping straight into marketing with a broken online sales office will not help you in that regard. As always if you’d like to know anything more about the above or feel that you do have a good website and want to get started with digital marketing in Brisbane or anywhere in Australia then please feel free to get in touch!